My Health My Home is raising awareness of indoor air pollution this Clean Air Day. Yesterday marked this year’s Clean Air Day – a national awareness day to encourage the public to find out more about ambient and indoor air pollution and to share information on how to make air cleaner and healthier for everyone; both inside and outside the home. In aid of the day, My Health My Home created a number of resources to raise awareness of the significant health impacts that are associated with poor indoor air quality, including an infographic detailing 5 quick and easy steps that anyone can make to improve the indoor air in their home (which can be viewed here). On social media, we ran a Thunderclap Campaign spreading a message on Indoor Air Quality with a social reach of over 150,000 people. 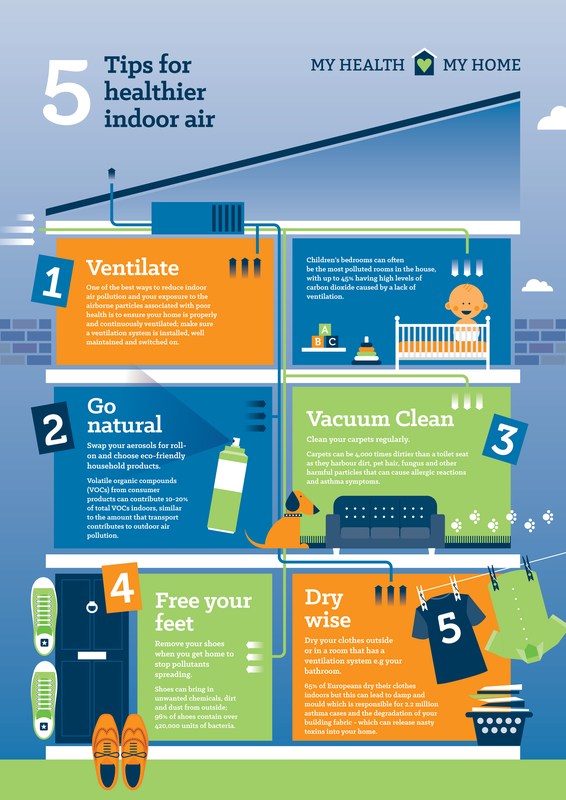 We also created a Clean Air Day toolkit for our ventilation group members with infographics, GIFs and mini-infographics featuring key messaging on IAQ for them to share on their social media platforms. Poor indoor air quality, or indoor air pollution, occurs when there is a build up of pollutants in the home to the extent that it affects the occupant’s health and comfort. Brits spend around 90% of our time indoors and approximately 16 hours a day in our homes. As homes are becoming more air tight due to higher energy efficiency standards, there is a greater chance that pollutants will accumulate and create a higher risk of indoor air pollution. 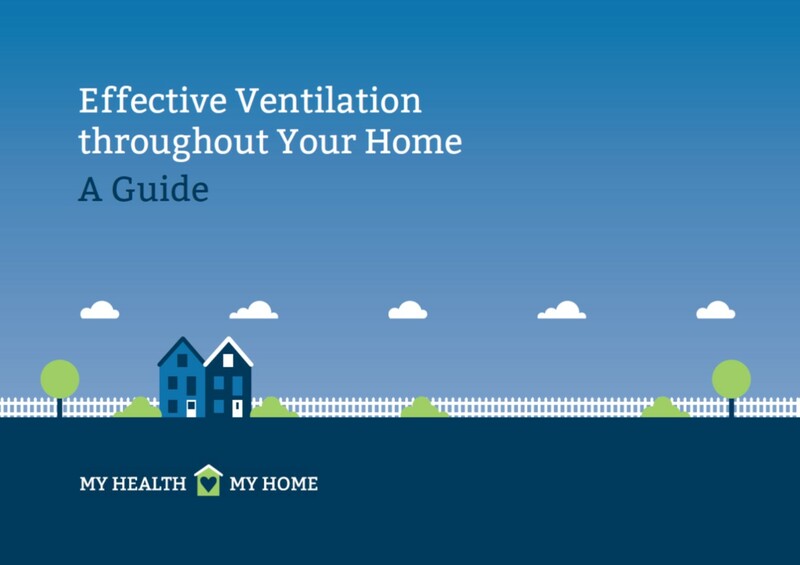 Adequate ventilation is a key factor in improving the air quality of UK homes and My Health My Home recognises that for a change to happen, action on a higher level is needed. Share our ‘Every 6 minutes’ graphic on social media and tweet us your support today @MyHealthMyHome because #IndoorAirMatters this #CleanAirDay.